Happy Literary Friday, My Lovelies! I hope you've had a stellar week and read at least one fantastic book. 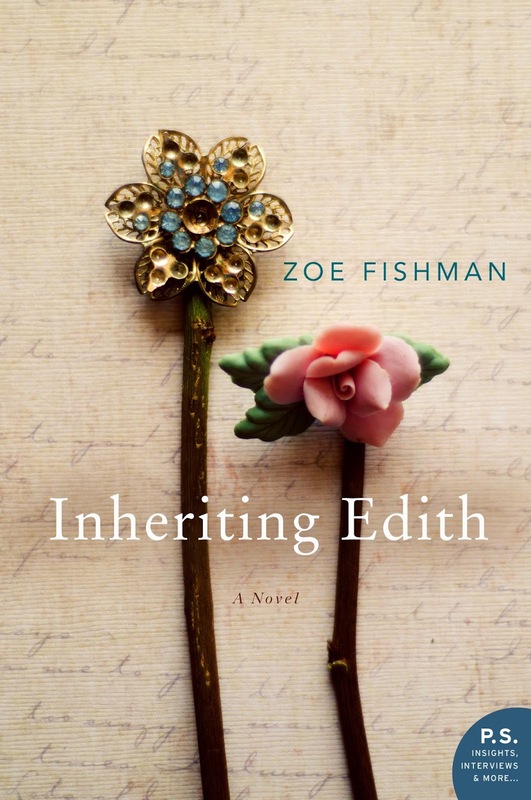 This week I read Inheriting Edith by Zoe Fishman. For years, Maggie Sheets has been an invisible hand in the glittering homes of wealthy New York City clients, scrubbing, dusting, mopping, and doing all she can to keep her head above water as a single mother. Everything changes when a former employer dies leaving Maggie a staggering inheritance. A house in Sag Harbor. The catch? It comes with an inhabitant: The deceased’s eighty-two-year old mother Edith. Edith has Alzheimer’s—or so the doctors tell her—but she remembers exactly how her daughter Liza could light up a room, or bring dark clouds in her wake. And now Liza’s gone, by her own hand, and Edith has been left—like a chaise or strand of pearls—to a poorly dressed young woman with a toddler in tow. Maggie and Edith are both certain this arrangement will be an utter disaster. But as summer days wane, a tenuous bond forms, and Edith, who feels the urgency of her diagnosis, shares a secret that she’s held close for five decades, launching Maggie on a mission that might just lead them each to what they are looking for. Zoe Fishman is the author of Driving Lessons, Saving Ruth, and Balancing Acts. Her books have been translated into German, Italian, Dutch and Polish. She’s the recipient of many awards, including Target’s Breakout and Emerging Author Picks, a New York Post Pick, and has been featured on NBC’s “Atlanta & Co.” as well as in Publishers Weekly and The Huffington Post. She is currently at work on her next novel, as well as teaching writing at The Callanwolde Fine Arts Center. Zoe lives in Atlanta with her husband and two sons. Find out more about Zoe at her website, follow her on Twitter, and connect with her on Facebook. The real story in this novel is that Maggie, her daughter Lucy, and Edith form a family of sorts in spite of both women's tragic histories. Maggie is a difficult character: She settles for a hard life as a maid in Manhattan although she has a college degree in English. She could've found other work, or she could've nurtured her writing talent. Instead she settles for less not only in her professional life but also in her personal life. She cuts ties with her father after he remarries, and she becomes pregnant with her boyfriend just as they're breaking up and he's moving to Oregon. Edith has a history that also includes cutting ties with family, but she does manage to overcome her earlier history by marrying a loving man and having a daughter. Both Maggie and Edith bring baggage with them as they strive to execute Liza's will, and they bond as Maggie agrees to write Edith's memories before they're lost forever. Edith is blessed that she has a wonderful support group in Sag Harbor. Her best friend Esther provides humorous and witty dialogue, thankfully, because the story itself is depressing. Maggie's sweet toddler daughter Lucy is sunshine to Edith. As a reader I'm grateful to Fishman for Lucy and Esther: Edith's interactions with them help develop her character a bit more fully. I had a harder time understanding Maggie's character and motivations. She definitely has issues from childhood, but fortunately her friendship with Edith helps her confidence with her writing talent and encourages her to make better choices for Lucy's sake. Both Maggie and Edith can thank Liza for placing them together because their friendship and support for each other enables them to forgive and move on with their lives. There is a plot twist I definitely wasn't expecting, and it rattles Edith's already fragile reality. My only complaint about the book is the ending: It seemed a bit rushed for me and I would have appreciated a bit more closure. Inheriting Edith is very well-written, and you should like it if you enjoy books about family drama, family secrets, regrets, forgiveness, and healing. It is also a lighter read than one would expect considering one of the main characters suffers from Alzheimers, and her daughter recently committed suicide. It's also a quick read, perfect for holiday travel. I received a copy of Inheriting Edith from the publisher via TLC Book Tours in exchange for a fair and honest review. Interesting. I am quite familiar with that area, so it could be neat to read it for that reason alone! Stories about building a family from disparate people always touch my heart. Alzheimer's issues can be so heavy, and I appreciate how the author seems to have handled it in this book.